In many instances, people express their moods with what they wear. However, don’t let today’s blue ensemble fool you. I am not emoting some sort of inner sadness. In fact, I am simply embracing one of fall’s biggest color trends and remixing one of my absolute favorite pieces of outerwear for yet another season of wearing. Alber Elbaz revamped this calming yet bold shade when he paired it with fringe for Lanvin and Richard Nicholl centered most of his fall 2014 collection around it. I personally have been infatuated with this color since Pheobe Philo made it chic several seasons ago, and although I have become one of those one and done type of bloggers over the years, this particular shade of blue is just one hue that I can’t seem to quit. Love this shade of blue on you Miranda, just stunning. 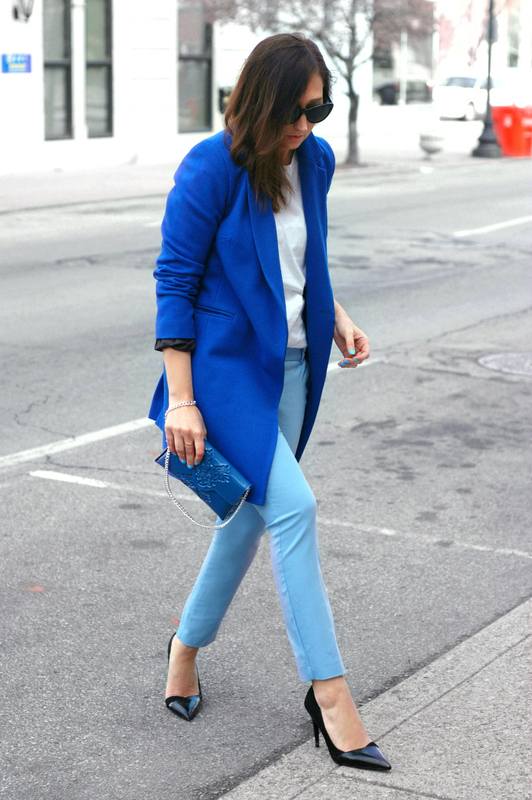 I love these different shades of blue and especially that coat, you look amazing ! Love you in that cobalt blue! 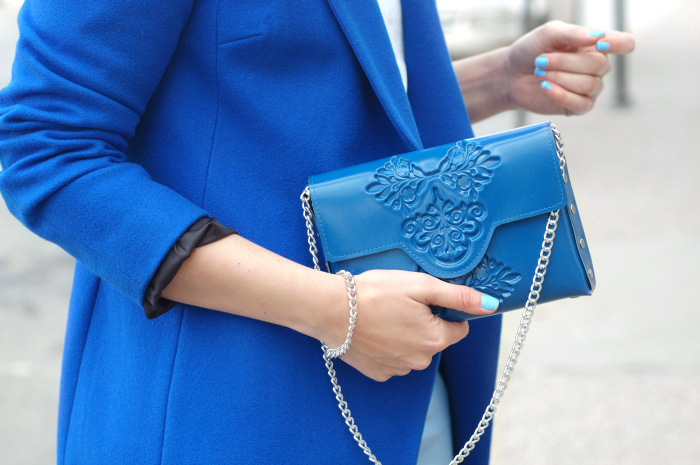 Love this look, so stunning, would never have thought to pair the different blues together! I did a blue post this week too, can’t get enough!